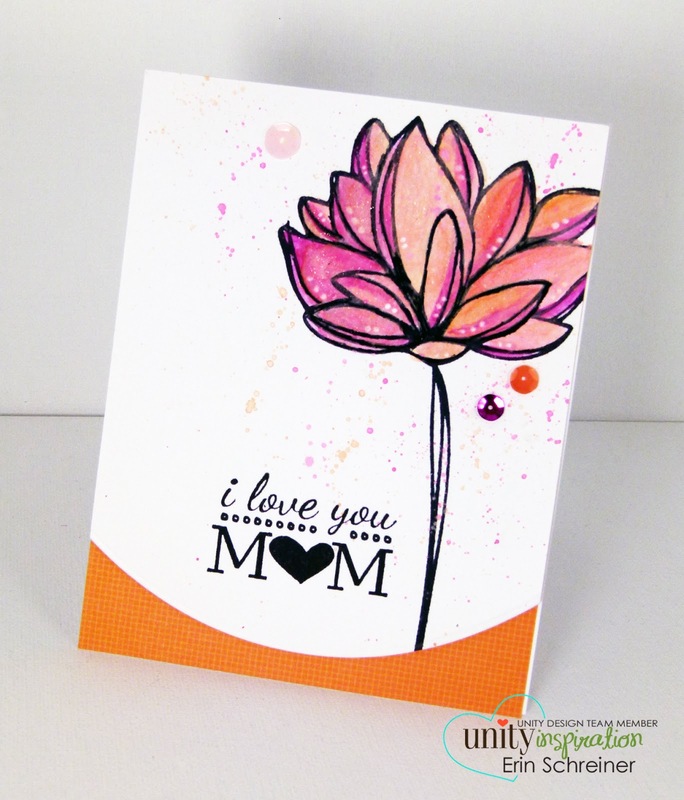 Unity Stamp Company: KOTM Monday: Mother's Day is Coming! KOTM Monday: Mother's Day is Coming! Next week is Mother's Day! 6 days away, to be exact. If you haven't made your cards yet, there is the perfect sentiment in April's KOTM Botanical Bliss. Flowers are always a great choice for Mother's Day cards and the SMAK from April has lots of options, like this one I have used on my card.